Meet the evolving needs of today’s financial consumer by remodeling your financial institution office or branch with Dream Construction in Las Vegas, Nevada. 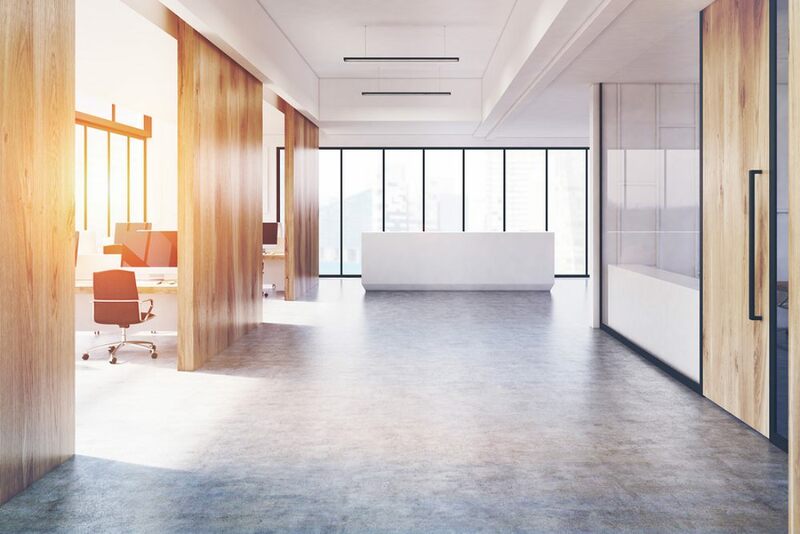 With years of experience in financial institution and commercial office remodeling and project management, we will complete your renovation on time and on budget. A remodel can make both the interior and exterior of your office more appealing to customer and more profitable for you. Fix workflow problems by updating your interior as well and improve the efficiency of your staff. While today’s digital savvy customers visit the bank less often, but when they do they expect an experience that reinforces their digital interactions and enhances the advisory services offered. For this reason remodeling of existing branches of banks and credit unions has almost doubled in number between 2014 and 2015 and one in every two financial institutions are remodeling at least one branch in 2016. Dream Construction is the prime financial institution building contractor in Las Vegas and can help bring your branch into the digital age with a remodel that encompasses new technology such as digital signage, tablet or interactive kiosks, overhead music, interactive tellers, and video walls and conferencing. We are also familiar with interior design that incorporates bank technology and equipment, security devices, vaults, safe deposit boxes, drive-ups, and ATMs and the security precautions involved in construction. At the same time, we are experienced in constructing an environment that is open and free-flowing, allowing for improved one-on-one customer service. 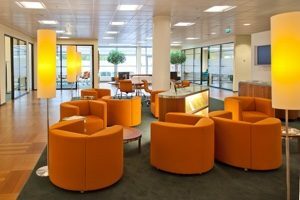 Like banks, today’s real estate offices are also more dependent on digital technology, requiring a rearrangement of space available to provide room for more interactive technology and customer comfort and less need for desk space as agents operate primarily from home via computer. Lenders, on the other hand, need more space as technology comes into play. Title and escrow offices need to pair comfortable open waiting areas with privacy while providing services. Dream Construction’s designers can work with you to create a plan that accomplishes the transition while our construction team brings that plan into reality. Contact Dream Construction today for an appointment and let us help you strategize and plan your financial institution branch or office remodeling project to accommodate the changing financial sector of the new digital age. Whether you are dealing with shrinking transaction volumes, integration of advanced digital technology, added regulatory demands, or just want to create a more desirable atmosphere for your customers, we can work with you to find solutions.